Fitness Marketing and Branding for Personal Trainers! When engaging an audience or a potential new client, your goal should be to showcase the things that set you apart from your competitors, and why they should use your services or buy your products. Our staff at Fitness Marketing Solutions includes experienced designers, market analysts, photographers, and videographers who take your ideas and push them forward to create amazing branding elements that exponentially help you achieve your goals. We don’t just work for you, we work with you to ensure excellence of your company’s branding. Personalized website design starts with you and your business in mind. With your own Mobile APP, you have the power to engage your clients and increase your brand. Let our Team design a Personal Brand that sets you apart from your competition. Fitness Web Worx is a website and marketing tool in one, that gives you a great foundation to get your personal training business off the ground. Everything you need to take your personal training business to the next level. Designed to make you a champion in your profession and in life, this package includes a personal website and a customized mobile app. We help you decide what is best for your business with a plan and your goals in mind. Integrate your online class schedule, post work out videos and custom playlists, send push notifications to your clients to motivate and keep them engaged all from their phone. Let us design a website that represents you and your business. At Fitness Marketing Solutions, our designers focus on your services and create a website design for you that draws new clients. We strongly believe that your success as a trainer or competitor begins with you. We incorporate analyzing your business goals, strategies, strengths, and weaknesses in your design so that your online reputation is at the top of your game. Design isn’t all about visual appeal. While an eye-catching representation of your business is very important, we also focus on the way your design makes people feel when they interact with your website. Once a client is engaged with you and your company, you can more easily begin to form a relationship that focuses on their needs. Professional print media will leave a lasting impression and increase your reputation. Designed with the beginner fitness professional in mind. The Pro package is the first step in taking your personal training career seriously. You have the passion, now what? Get out there and promote yourself on line and in the local market with this package designed to give your business the respect it deserves. Fitness Web Worx is a website and internet marketing tool. This package includes professional set-up and build out of Multi-Page Mobile Friendly Website with self-editing function and different options for local marketing that we will help you decide what is right for you and your business. Marketing yourself for Fitness is the Key to your Success. Getting in front of Everyone who needs a trainer is our Goal. Are you an amazing personal trainer, but you can’t seem to fill your schedule with clients? Have you ever wondered how you could showcase your talent and skills in the fitness industry to gain a steady stream of new followers and clients? Our marketing team at Fitness Marketing Solutions works actively to present your business to a larger audience. We can work with you to optimize an effective combination of digital marketing, traditional marketing, and social marketing that leads to the growth of your business. Personal training and fitness companies are much more likely to generate new business and build strong relationships with new clients when using a smart marketing strategy. This involves the use of print and online promotion, public relations, online search optimization, and social media to attract clients and enhance your presence in your industry. Search Engine Optimization is all of the behind the scenes work that we need to put into your website that will help new clients find you and build your reputation, build your business and in turn build your clientele. Gain clients in real time with geo-targeted keywords and guarantee traffic to your website that are actively looking for your services. Social media is one of the best ways to increase awareness of your brand and busines in the Personal Training industry. We can help you impact your image and your reputation by reaching out to local or national media to ensure that you have the opportunity to gain the recognition you deserve. 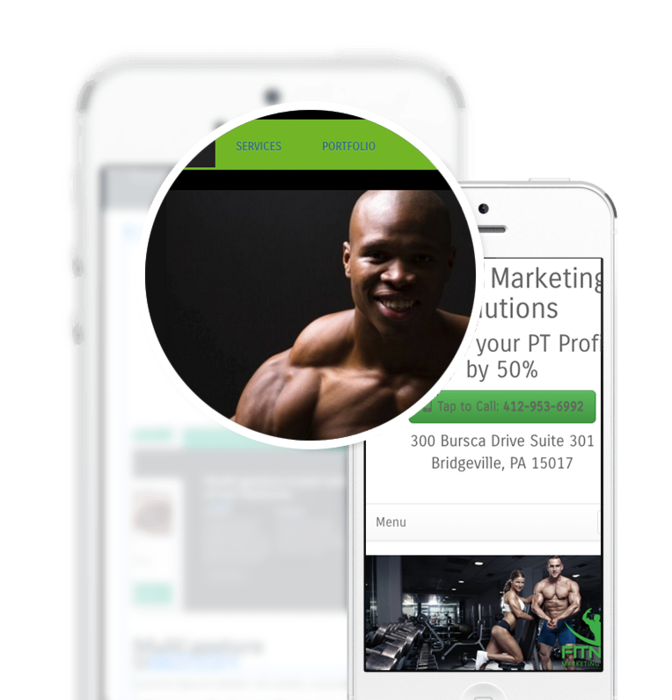 Create a local presence for your personal training business through website optimization, social media, and online reviews with directory listings. Developing intriguing written copy is a skill. Our professional writing team will help you pinpoint a strategy for creating attention grabbing content.